The Millennium Challenge Corporation (MCC) represents an innovative approach to U.S. foreign assistance and development — one that emphasizes results and accountability, incentivizes policy and institutional reforms that catalyze private sector investment, and is led by country partners with a focus on sustainability. With some of the world’s fastest growing economies in Africa, MCC is playing a leading role in helping the continent’s best-governed poor countries seize new economic opportunities and fight poverty. Since its founding in 2004, MCC has partnered with 22 countries in Africa and invested more than $8.3 billion. The majority of MCC’s investments are infrastructure projects that have delivered clean water and sanitation to help fight disease, made transportation more efficient through construction of hundreds of kilometers of roads, improved agriculture yields by bringing irrigation to farmers, and increased access to reliable electricity for households and businesses. Through these programs, more than 656,000 people now have improved access to clean water, 191,000 farmers have been trained on improved farming techniques, and 291,000 households and commercial entities now have legal protections for their land. Women on a Mission—a podcast series from MCC—features episodes with Sophia Mohapi, former CEO of MCA-Lesotho and Pamela Bwalya, MCA CEO-Zambia. Through its compacts in partner countries, MCC has committed approximately $1.5 billion to support Power Africa, the U.S. Government’s effort to double access to electricity in sub-Saharan Africa. MCC has invested $3 billion in trade capacity building assistance in AGOA countries on infrastructure like roads and power, on increasing productivity of small- and medium-sized businesses and export-heavy sectors, and leveraging policy and regulatory reforms. 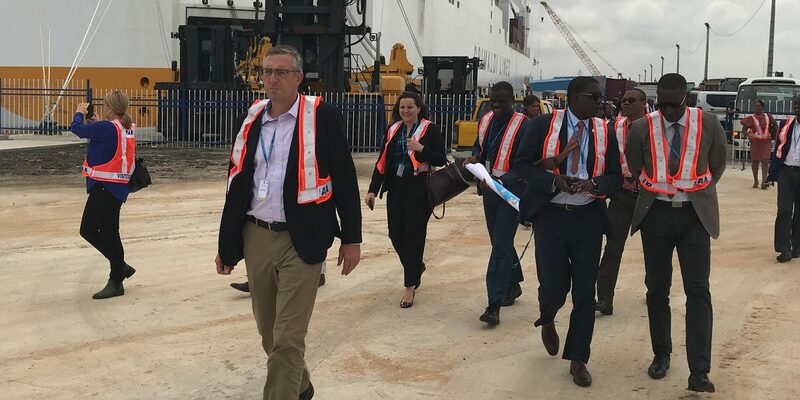 MCC helped increase access to markets, land, justice, and financial services, including a major modernization of the Port of Cotonou that reduced port costs, shortened wait times and boosted traffic at the regional commercial hub. 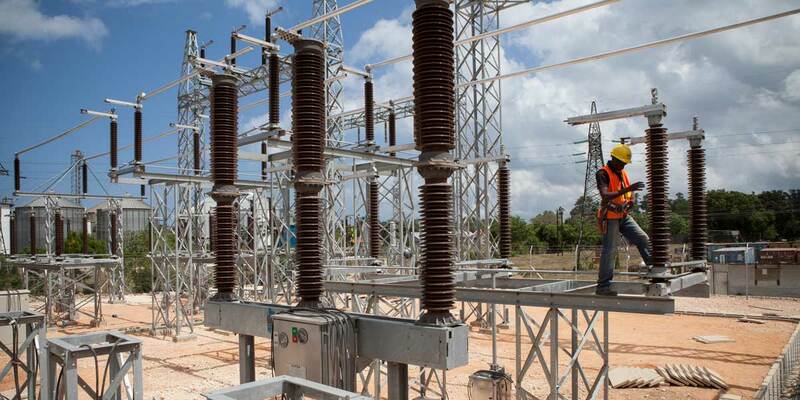 The $375 million, power-sector-focused compact with Benin entered into force on June 22, 2017. The compact includes MCC's largest investment in solar power and its largest off-grid electrification project. MCC strengthened agricultural infrastructure and water-management techniques, assisted in rural land ownership reform, linked markets through improved roads, and ensured more girls complete primary school. The program promoted shared values and economic growth in Burkina Faso by providing girls with greater access to quality primary education in the 10 lowest-performing provinces in the country. 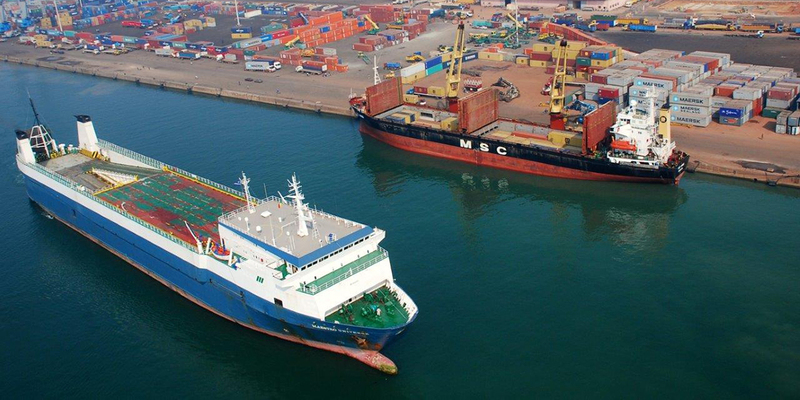 MCC helped integrate internal markets and reduce transportation costs by upgrading Cape Verde's infrastructure, including modernization of the Port of Praia. MCC also helped link businesses to credit markets and promoted drip irrigation. This five-year compact with Cape Verde is intended to increase household incomes by reforming two sectors identified as current constraints to economic growth: the water and sanitation sector and the land management sector. MCC transitioned Côte d’Ivoire from a threshold program to compact development in December 2015. MCC based the decision on the country’s continued political stability and scorecard improvement, passing 14 of 20 indicators in FY17 compared to five in FY13. In December 2018, the MCC Board of Directors selected Ethiopia as eligible to develop a threshold program. The program focused on reducing public-sector corruption by overhauling the public procurement system, with a specific concentration on health care procurements throughout the supply chain. MCC's investments aimed to increase the availability of water for household and industrial use, enhance watershed management and conservation methods, rehabilitate health infrastructure and strengthen health systems, and remove barriers to private investment. Lesotho has been selected to develop a second compact with MCC. The objective of the compact is to encourage equitable and sustainable economic growth in partnership with the private sector by loosening key constraints to growth. This compact sought to assist the rural population’s transition from subsistence agriculture to a market economy by helping beneficiaries secure formal property rights, access credit and receive training in agricultural production, management and marketing. In December 2018, MCC’s Board of Directors selected Malawi as eligible to develop a compact. The program sought to reduce opportunities for corruption and strengthen the government’s ability to manage and monitor its finances. It supported independent oversight institutions and systems of enforcement and deterrence. The Mali Compact serves as a catalyst for sustainable economic growth through investments that capitalize on two of Malis major assets: the Bamako Senou Airport, a regional gateway for trade, and the Niger River, with its potential for agricultural production. The compact increased productivity and improve employment in high-growth sectors like fruit tree productivity, fisheries and artisan crafts. Financial services investments and enterprise support complemented small business creation and economic growth. MCC and the Government of Morocco are partnering to implement a $450 million compact to address two major constraints to economic growth in Morocco—employability and land productivity. MCC sought to increase productivity, income generation and poverty reduction in the northern provinces of Mozambique by improving water and sanitation, roads, land tenure, and agriculture. The Namibian Compact aims to increase the competence of the Namibian workforce through knowledge and skills, as well as to increase the productivity of agricultural and nonagricultural enterprises in rural areas. MCC’s $437 million compact with the Government of Niger is addressing access to water for agriculture and livestock and physical barriers to trade. The program sought to improve Niger’s scorecard performance for compact eligibility by reducing administrative corruption and barriers to increased trade and investment. The program supported the Rwandan government’s efforts to strengthen civic participation, promote civil liberties and rights and improve the judicial system. The program was designed to complement and reinforce Rwanda’s own reform efforts. The program helped the Government of São Tomé and Príncipe increase revenue through improved tax and customs administration and enforcement. The program also helped streamline business registration procedures. MCC aims to unlock the country’s agricultural productivity and expanding access to markets and services through critical infrastructure improvements in the Senegal River Valley and the Casamance region. MCC and the Government of Sierra Leone have partnered to implement a $44.4 million threshold program to improve access to clean water and reliable electricity, and to support reforms designed to limit opportunities for corruption. In December 2017, the MCC Board of Directors selected The Gambia as eligible to develop a threshold program. The Togo Threshold Program is designed to support policy and institutional reforms in two areas identified as critical constraints to economic growth and poverty reduction: information and communication technology (ICT) and land tenure. The program focused on decreasing public-sector corruption, particularly in procurement. The program strengthened governmental ability to follow-up on reported malpractice and the role of civil society in monitoring corruption. The Zambia Compact invested in water supply, sanitation and drainage infrastructure with the goal of decreasing the incidence of water-related diseases, generating time savings for households and businesses, and mitigating business and residential flood losses. The program sought to improve scorecard performance on three indicators by reducing corruption in key government institutions and barriers to increased trade and investment.